When you start with something really good, it doesn’t take much to make it better. And that’s the story of this cookie. I started with my Do-Almost-Anything Vanilla Cookie Dough, and then I added the spices that always make me think it’s Christmas: cinnamon, ginger, cloves and allspice. 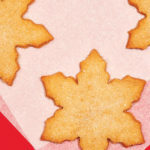 The result is a cookie that’s perfect with coffee or tea, mulled cider, mulled wine or a late-night cognac. A word on batch size: This recipe uses one quarter of the Do-Almost- Anything Vanilla Dough. Make the full recipe of the dough then, if you’d like, you can double, triple or quadruple this cookie recipe or use the vanilla dough to make other cookies. 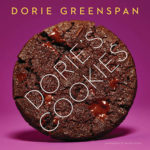 Excerpted from Dorie’s Cookies, published by Rux Martin/Houghton Mifflin Harcourt. Copyright © 2016 Dorie Greenspan. Photographs © 2016 Davide Luciano and Claudia Ficca. The cookies are nice left plain or sprinkled with sanding sugar before baking, but I usually can’t resist the allure of a spiral of melted white chocolate in the center or a faint brushstroke of chocolate across the top. To make the cookies: Mix the spices together in a small bowl and, using a flexible spatula, blend them evenly into the dough. Gather the dough together and shape into a disk. Place the dough between pieces of parchment paper and roll it to a thickness of ¼ inch. Slide the dough, still between the paper, onto a baking sheet and freeze for at least 1 hour, or refrigerate for at least 3 hours. Getting ready to bake: Center a rack in the oven and preheat it to 350 degrees F. Line a baking sheet with parchment paper or a silicone baking mat. Peel away the paper on both sides of the dough and return it to one piece of paper. 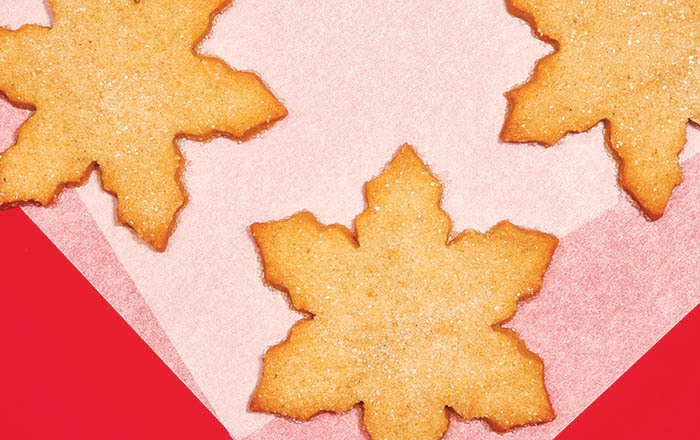 Using a 2-inch-diameter cutter, cut out as many cookies as you can. (You can use any size or shape cutter you like, just know that the yield will be different.) Place them on the lined baking sheet about 1-½ inches apart. Gather the scraps together, re-roll them between paper and chill. If you’re using sanding sugar, sprinkle the tops of the cookies with it. Bake for 19 to 21 minutes, rotating the sheet after 10 minutes, or until the cookies feel firm to the touch. Transfer the sheet to a rack and let the cookies rest for 5 minutes before lifting them onto the rack to cool to room temperature. Repeat with the rest of the dough, making sure your baking sheet is cool. To make the glaze and finish the cookies (optional): If you want to give the cookies a spiral or swipe of white chocolate, melt the chocolate in a microwave or in a bowl set over a pan of simmering water. For the spiral, use a small pastry bag fitted with a tiny decorating tip or drizzle the chocolate off the tip of a small spoon. For the swipe, use a narrow pastry brush and only a little bit of chocolate and brush it across the cookie lightly. Refrigerate the cookies for about 20 minutes just to set the decoration. Storing the cookies: The rolled-out dough can be wrapped and refrigerated for up to 3 days or frozen for up to 2 months. The cookies will keep in a covered container at room temperature for up to 1 week. They can be wrapped airtight and frozen for up to 2 months. , The Christmas Spice cookies need at least double the amount of spice. In my opinion there is a very faint hint of spice. My spices are fresh. I expected true spice cookie flavor. I was skeptical after I read the recipe and thought that maybe all the butter pumps up the spice flavor. If I want spice cookies next time I’ll use a spice cookie recipe At least for me these are plain butter cookies although the Tablespoon of vanilla did make good vanilla flavor. Good tip. For those who like a more pronounced spice cookie, jack up those warm spices! Did you make the entire cookie recipe? If so you need to add 4 times the spice recipe. The spice recipe is for 1/4 of the cookie recipe making 18 cookies. The cookie recipe is for 80 cookies.